"I want Indi to understand her heritage and relate to me. I want her to feel beautiful in her own skin." This is Massy Arias, a badass Afro-Latina, fitness expert, Covergirl, and mother. This is Indi, Massy's adorable daughter. 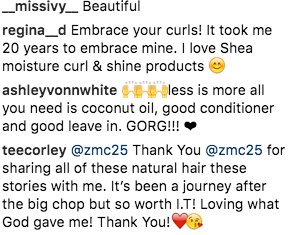 Earlier this month, Massy shared a picture of her natural hair and explained she chopped it all off because she wants her daughter to understand her heritage and feel beautiful in her own skin. "When I was 9 years old I asked my mom why my hair was curly and hers straight. I’m sure being a busy mom and having a different hair type than mine, my mom did what she thought was best for her lifestyle [and straightened her hair]. Yesterday I chopped it all off so I can be all natural. 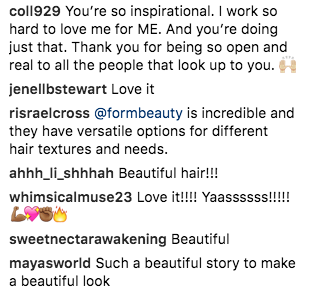 Because I am more than my hair," Massy wrote on Instagram. Massy, who suffers from mild scalp psoriasis, also explained she grew tired of all the maintenance straightening her hair took, and the stress it put on her scalp. She's still getting used to her natural hair, but says she feels liberated. She's also still trying to find the best products to use. And all of her followers are obviously here for it.